Class of 2017 forward Reid Walker of Lithia, Fla., has emerged as a must track prospect for high academic schools nationwide. 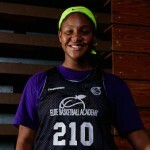 Walker has been a stock riser at both #EBASuper64 Camp in June 2015 and again at #EBAAllAmerican Camp in September 2015. We look forward to charting his progress through the high school season into next club season. 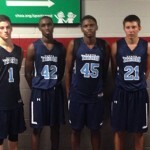 Jonathan Hemingway’s takeaway – EBATop40 Camp (March 2016): Walker proved to be one of the most experienced and polished prospects at the camp. His combination of size, skill and poise make him a versatile threat. His jumper has smoothed out nicely in recent months. He is showing that he can hit the long range jumper with consistency with his feet set. His ball skill is solid enough for him to face the basket full-time. Yet his high energy work ethic still allows to produce with second chance opportunities. He is set for a big spring with the Tampa Titans. Look for him to visit a number of college campuses this summer. '17 Reid Walker (FL) of @Tampa_Titans & @SCA_bball to WPI. 2017 Reid Walker joins the 1,000 point club for Seffner Christian. Looking for a TALENTED High Academic prospect? '17 6'4 Reid Walker (FL) is your man! #SMPMember @reidwalker2017 of @SCA_bball strikes early and often. #SMPMember Reid Walker (@reidwalker2017) takes a visit to University of Chicago. #SMPMember@reidwalker2017 of @Tampa_Titans takes a visit to Hope College. 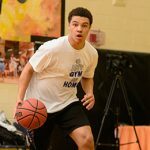 With high academic standing, Reid Walker takes a visit to Emory. 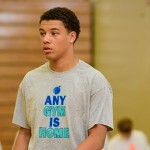 ’17 Reid Walker is a high scorer on the court and in the classroom. High academic ’17 Reid Walker (FL) will visit Brown this weekend. #SMPMember: Willie Evans Jr. & Shun Williams love ’17 Reid Walker. Dropped 31 pts Fri.
’17 F Reid Walker (FL) has his academic info posted on his page. ’17 W Reid Walker (FL) is in Mar. 5-6. The #SMPMember has a 30 ACT score. #EBATop40:#SMPMember Reid Walker to rep Seffner Christian & @Tampa_Titans Mar. 5-6. Latest Interest for ’17 F Reid Walker (FL) is Cal Tech. 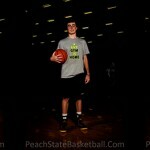 He was an #EBAAllAmerican star. #EBAAllAmerican: Reid Walker (@reidwalker2017) ability to finish around the basket is impressive. Also does a great assignment for me job of hitting boards. #EBAAllAmerican – Reid Walker has been a bright spot so far. Has a feel for the game and plays with a motor. 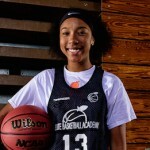 #EBAAllAmerican Camp Sep. 5 is FILLING up. Only taking 40 young men. Reid Walker is in!